Discussion in 'Community Discussion' started by Aikar, Jun 27, 2014. Poll closed Jul 14, 2014.
server, and a Utopian residence = 4 residences. This would keep current tiers / residence capacities the same, but would still pose a problem to those who have built massive structures on 4 adjoining residences. Just another thought I had. SkareCboi, 607, AlexChance and 1 other person like this. or you could get nothing when the server has to be shut down. stop complaining please D: aikar is trying to figure things out so that it fits most of everyone's abilities and still be able to afford everything.. I wasn't trying to complain, I just saw lots of people saying they only wanted the new supporter package, and I'm really excited for the cosmetic package. 607, jkjkjk182, battmeghs and 2 others like this. I think battmeghs may have overlooked Aikar' post where he talks about a $7 cosmetic $15 supporter $20 combo...it was several posts above yours. I thought your post meant you are willing to pay more than $7. It wouldn't matter if its significant advantages or not. The EULA is clear that any advantage is bad. As much as I hate to say it, I think that these 2 sentences pretty much sum up the whole EULA. Problem is, what an advantage is can be interpreted in loads of different ways. I'm willing to bet most server owners will interpret it as "means you're stupidly overpowered", and Mojang'll interpret it as "anything that could make you a tiny bit better than someone else". Hell, if Mojang hadn't explicitly allowed it, coloured name COULD technically be considered an advantage: it makes your name more clear in chat, meaning that it's easier for you to sell stuff, meaning you can make more rupees. Server downsizing will come long before closure, we don't need 5 top of the line expensive as hell servers, but we have them. I've personally brought this up before. Because it is not unnoticeable that EMC does not use its super powerful servers to their full need, and they were bought themselves to run a much more unstable Minecraft, sans the changes Aikar himself has added to help overall performance. From my point of view, it would be better to say things like 'We may have to lose some servers' or things similar, than 'If our max goes to 15 we are at high risk to shut down'. No need to scare everyone if you are not even listing that there ARE other avenues to cut costs. If EMC were maxing out player numbers on every server every day, well.. I do not think this would even be a conversation worth having, as EMC would be just fine. But you are paying for tour busses with only a town car full of people to transport. It made sense at one time, but now maybe it should be embraced that costs should be cut, instead of scaring people to not even voice their opinion that they would like to pay less. LadBlo, 607, PandasEatRamen and 2 others like this. if that is so, sorry for jumping ahead. i read it a different way. i'm sorry. you forgive me? 607 and MrsWishes like this. Im still a little lost. Can some one explain this a bit better to me in PM? Ok, I understand what Aikar has said about the EULA still being there for older versions, however, it has been there this whole time, yet we have done this! The server.properties for 1.7.9 and older does not make you re-accept the EULA. I'm fairly sure that we could still run, as we are, on 1.7.9. If I was running a server, that is the way I would do it. Feel free to correct me and tell me I'm stupid. I seem to be confused. I do not understand why Justin's name keeps coming up here. The overall expenses of the server are yours. As players, it does not help to know what those expenses are, especially those that are out of the control of change. It comes across as 'If we can't afford to stay up, blame Justin'. Which is awfully negative, because instead of saying something reasonable like 'Yeah we could cut costs by bringing down and consolidating some servers but,....' you say 'I can't even do that because I have to pay to Justin'. While I, and the rest of the community, applaud you 'bailing out' EMC in a time of need, I doubt any one would have wanted you to do so to pressure guilt onto other avenues as reasoning for why decisions must be made. You have made your point, Justin is an expense. But he is not the only one. I am simply saying that instead of saying that if supporterships drop or the max payable amount drops that an inevitable shutdown is on the rise, you could inform your community that you would find OTHER ways to prevent that. Like consolidating servers that are underused into one or two servers that would be utilized fully (at the same time giving that reserved slot its money worth again). I am sure many community members would agree they would rather see servers consolidated than just the automatic dismissal because you could not rearrange enough to make the CURRENT set up affordable. I am simply saying that if less time was spent complaining about what Justin must be paid, an expense you have made clear is ever present, and the complications with compliance, which mojang has shown no signs of wavering, you could bring to the community things that COULD be changed as far as costs you CAN control. Like server costs. Just a quick a note.. there were TONS of iron supporters back in the early days of EMC for one amazing reason... availability. The servers were full, the only way to get on, was to be a supporter most of the time. I know that is why I bought iron the very first day I was on here. I think you would be surprised in your supporter numbers rising by consolidating servers and at the same time cutting costs, but having people be supporters just to access that reserved slot feature. I know your numbers now show lots of diamond supporters, but instead of trying to make Cosmetic packages and Watered down versions of the previous supporter ranks worth the $20 of Diamond, why not make a cheaper option and that reserved slot would be the shining glory? Iron supporters at one point outnumbered many others, only because that reserved slot was worth it. To play on a great server when you wanted. Why not offer a great experience and just cut your costs and resources because the situation calls for it? That is personally what I would do, and a suggestion I mention LONG before this. If your very most peak days on ad campaign heavy days is around 260... then just put enough servers up to handle 200... You are trying to convince people to spend money on something that is not worth to them what it was before. So instead, bring it back to the root, people use to PAY to play on EMC, because you could not get on other wise. There are multiple positives that come along with that. You have much more population on all the servers of everyday players. You have cohesive activity of hundreds of players on 3 or 4 servers instead of 10's of players on 10. You have maxed out slots during most of the peak hours, which for those that have 5 or 10 dollars laying around, is enough incentive to get a supporter package, under only one stipulation, that when they log on, they get an amazing experience. You can offer extras all day, the first day I gave 5 dollars to EMC, as well as hundreds of players of the past did, was not because of the perks it provided, but because it was the only way I could access the most amazing server I had ever known. BevK56, SkareCboi, Chris_Flo and 5 others like this. Jstclair41, Chris_Flo and PandasEatRamen like this. I would like an apology in song. Jk we good! We all love EMC and each other. 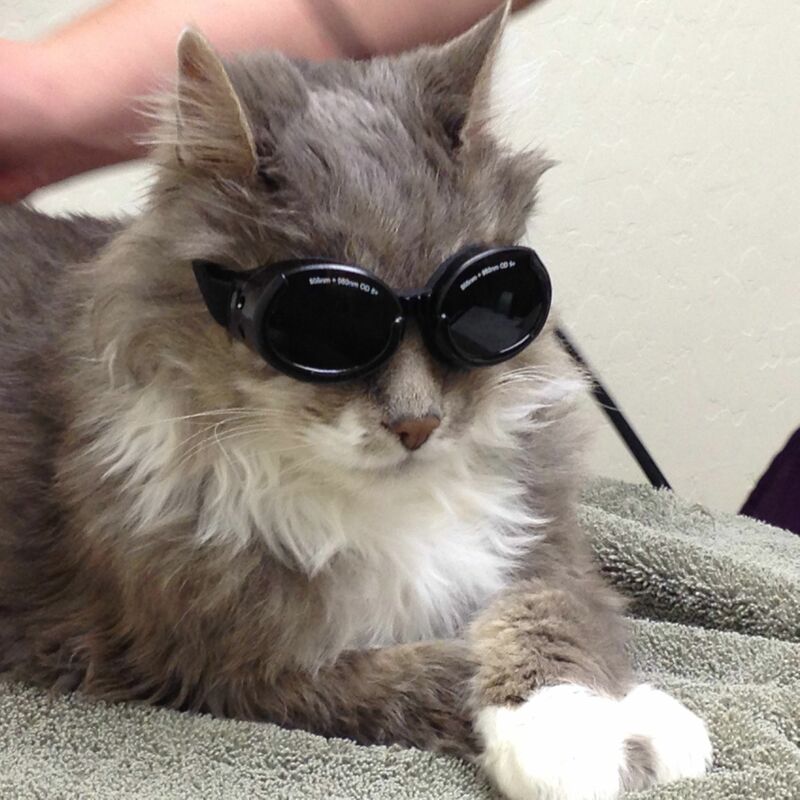 So here is a picture of a cat wearing goggles. Bro_im_infinite, MrsWishes and ninjaboy5656 like this. and this, you deserve every ounce of support we can hand you. you kept this going instead of it getting shut down months ago.. i've already told you many many many times how much i appreciate the things you did to keep this amazing place here for us to play. for players to complain they hate this and take it out on you, or throw a fit how something isn't fair.. they should really consider how there wouldn't even be this anymore without what you personally went out to get. and that my friend, is never ending thank you going your way! i'm really hoping this all goes smoothly and does great from here on out, i know i'm going to be heartbroken if EMC falls. i'm sure everyone here will be. I agree 100%, Aikar you are always doing what's needed to make EMC the best it can be. I appreciate everything you are doing to keep it going. I will support EMC, perks or no perks. I've have a lot of good times here! Pitsch11 and MrsWishes like this. Thank you Aikar and all the other people, from developers, moderators, website contributers, etc, who generously donate their time to keep EMC going. Aikar, I think you handle all the criticism and advice thrown your way graciously. I like the plans you have made so far to adjust EMC to Mojang's new environment and I am optimistic that EMC will get the funding it needs. BevK56 and Pitsch11 like this. Ismooch makes some good points Aikar. Would you consider downsizing before shutting down? That seems like a very logical and valid way to go.